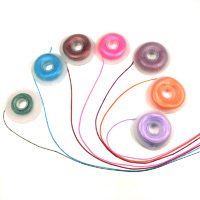 Chinese Knotting Cord is available in many sizes from 0.4mm to 2mm in diameter and are available in a very wide color range. 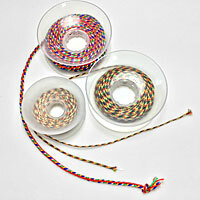 The cords are made out of nylon and braided with a center core with no twist. These braids are smooth, soft and flexible, and the center core keeps them rounded and increase their firmness and stretch resistance. 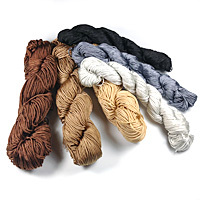 These cords are available in spools, skeins, 5, 10, and 50 yards lengths. The shorter lengths are wound on EZ-Bobs. 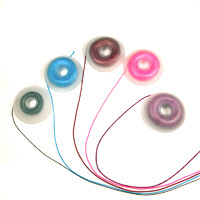 The larger ones are usually wound on spools or available in skeins. 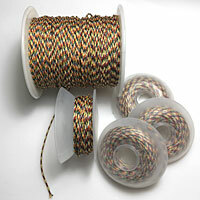 Chinese Knotting Cord is great for Chinese and Japanese ornamental knotting as it hold knots well. 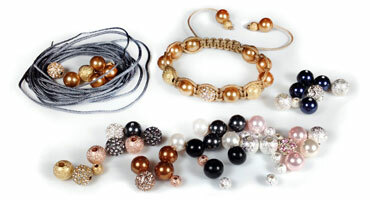 It can also be used for cording for pendants and amulets, for necklaces and earrings. 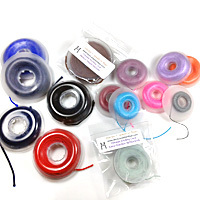 It is a good choice for floating sliding square knot closures for necklaces and bracelets, for stringing antique beads with large holes, for braiding, kumihimo and square knot bracelets. 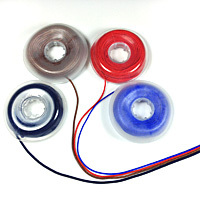 It can be intermixed with other cords such as C-Lon Cords or used for micro macrame by itself. 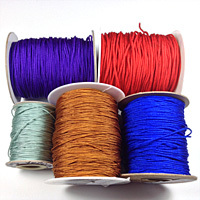 The larger size make a very nice simple cording for medallions and pendants. 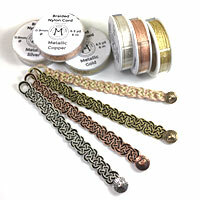 Many of the sizes are great for Bollywood macrame bracelets and micro macrame. Diameters are measured by holding the cord above a ruler but keep in mind that if the cord is flattened against the ruler it will be wider. Expect dye lot and diameter size variation within each categories. Not sure how to make these bracelet? 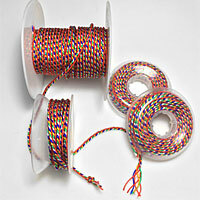 Good for knotting, braiding and crochet. Perfect for tassels, fine crochet and braids - New E just added! Personal Note - Many years ago a customer asked me to re-knot a Chinese belt with carved jade pieces and beads into a neckpiece. 256 Chinese button knots later done with extra fine Chinese knotting cord, I had this knot memorized and could do it in my sleep... I have been collecting this cord ever since. 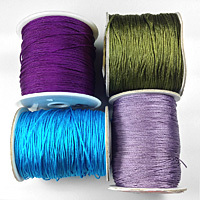 Keep in mind that restocking exact colors is not always available, dye lots, cord quality and cord diameter changes- so plan and order accordingly. Not sure about the size you need? > See close-up pictures of all the sizes or order samples. If this is the only thing you order, we will send the samples by first class mail/no tracking and refund your payment in full.